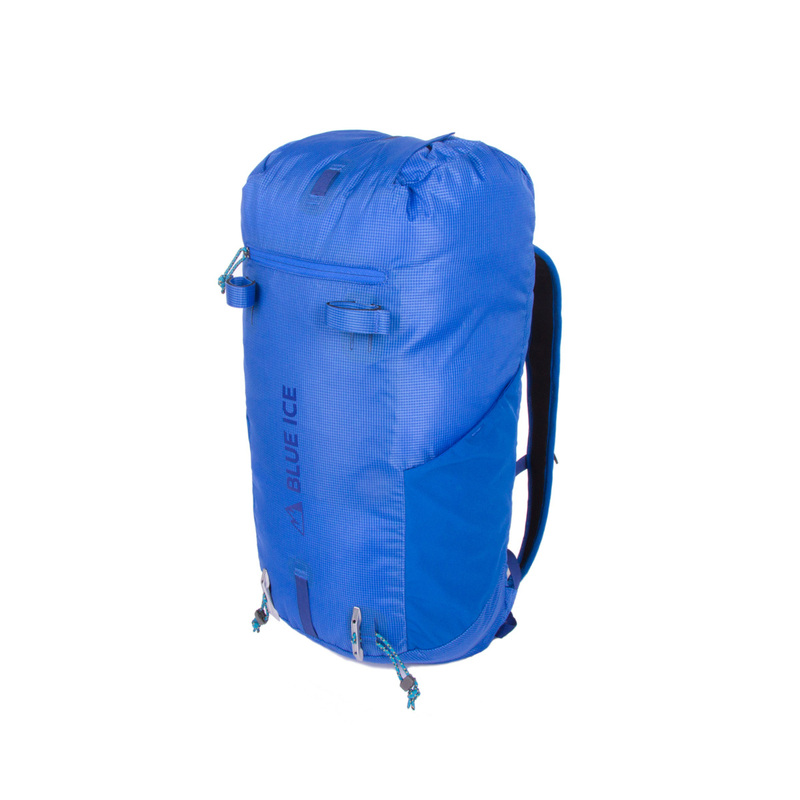 The Dragonfly 25L pack is an abrasion-resistant, water-repellent, fully-functional backpack, for climbers and alpinists who want to go fast and light on speed ascents in the Alps or make rapid summit pushes during remote expeditions. The Dragonfly 25L pack uses a minimalist design to keep it ultralight (only 460g), featuring resilient ripstop nylon to protect from abrasions on gear and rock, a DWR coating for just-in-case protection against light rain, and new highly breathable shoulder straps and a 3-D mesh back to allow moisture to dry quickly during intense efforts. This pack also has a rope carrying system, two mesh side pockets for added volume and ease-of-access, a large internal compartment with a water bladder, and a small outside zippered pocket to keep small items readily accessible. Top-loading secured by a drawcord for easy opening and closing. Perfect for fast and light ascents.